Today is Saturday and I have attempted a little research, yeah right! I have a few call for papers to complete and design an “Understanding the Process for the DAR”. But as usual, something else pops in my mind and I have to check it out. I believe this is my ancestors whispering to me. So I need to pay attention. 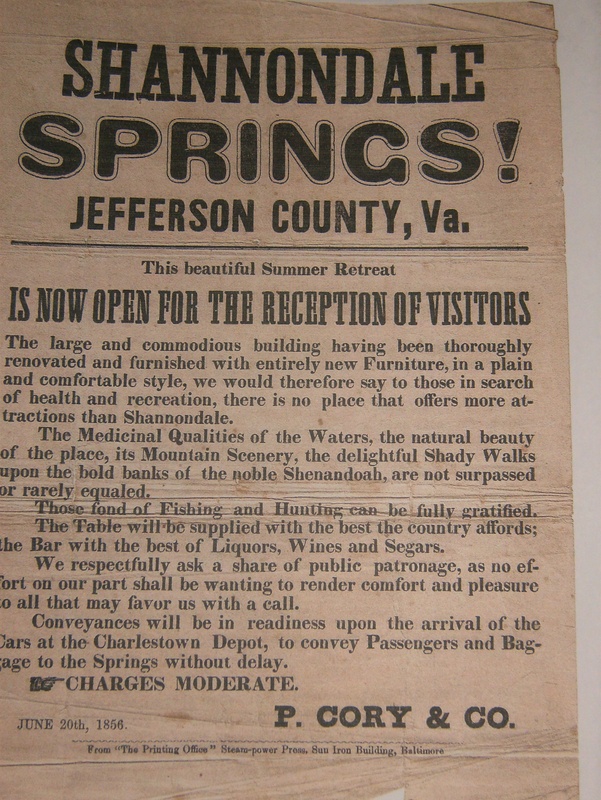 For some reason I was drawn to Jim Surkamp’s website about Jefferson County, West VA. I had not visited in a while and the USCT’s were on my mind. I haven’t located any of my ancestors in the database as of yet and wondered if any of the ones he had listed were connected. My Goens/Goings surnames are worst than my Murphy’s when researching. There are so many of them. 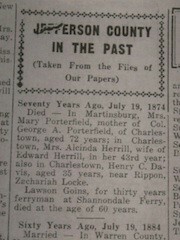 With the flyer and obit there are a lot of things that can be noted, such as dates, names, and locations. Using the “so what” principles I will be able to analyze the information for some good solid research. Lawson was working for the company at the time the flyer was produced. The boatmen are the logical choice to help escaped slaves along the rivers. One of my mottos for research is “follow the money, the land and the water”. I am not sure how I will plan this research, but I have to have a plan! Jim said that there are only two actual accounts from slaves on the route out of Jefferson County. So there is obviously more work to do on this topic since the census is noting 602 escapees. 1 Response to Boatmen-are you part of the escape plan?